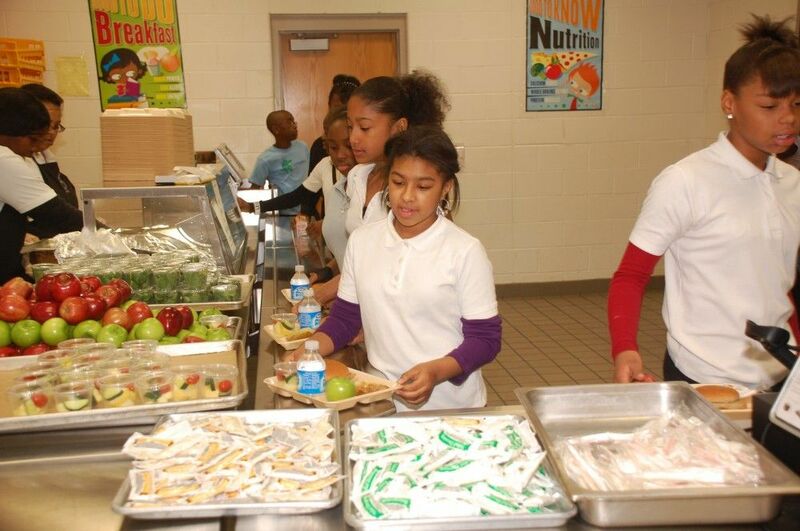 DPSCD knows that healthy eating helps to create healthy minds. The Office of School Nutrition is committed to supporting the educational development of our students by providing healthy breakfasts and hot and nutritional lunches to all students in grades K-12 at no charge in an effort to ensure all children receive nutritional meals, regardless of income. On-site preparation ensures that meals are served hot in compliance with Federal, State and local health department regulations. All menus adhere to the guidelines of the United States Department of Agriculture (USDA). These menus are presented so parents as well as students can plan and make sure students are getting the proper nutrients in adequate amounts for optimal health. The following link will take you to all of our school menus (breakfast, lunch and supper). Please select the green button labeled “Change School and Menu” and follow prompts. To find the desired month, please click the arrows (< >) to select.